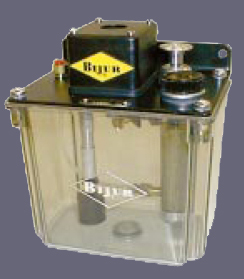 The TM-1 lube pump is a single phase dual voltage piston pump used with meter units. The discharge volume is adjustable between (0.2cc~1.0cc). Cycle times range from (2~145) minutes. *Other Bijur TM-1 Model pumps available upon request.